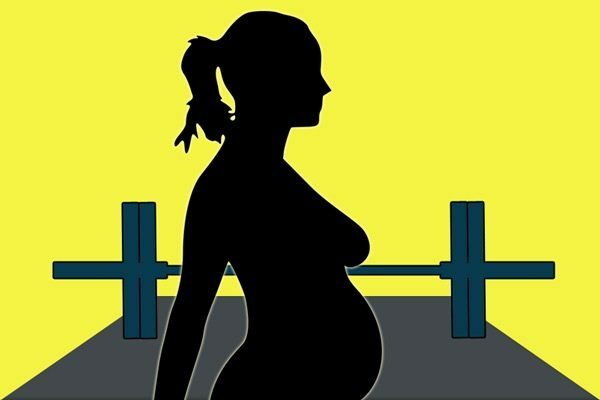 Losing Bodyfat or Gaining Muscle Mass: Which is More Important? Rip answers this question as he explains why "the older you are, the more important your muscle mass becomes to you, whether you know it or not." From the Archives: Settle in to read Bill Starr's account of York Barbell Exhibitions in this 4-part series. Brodie Butland gives his annual update on Legal Issues in Strength Coaching at the 2017 Starting Strength Coaches Association Conference. 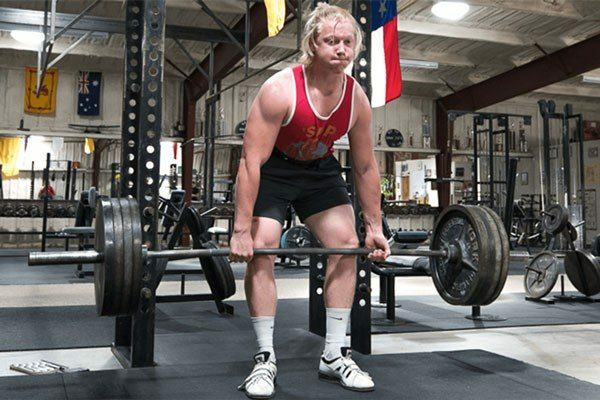 Nick Delgadillo on avoiding the problem of scraped shins on the deadlift. Don't be the guy "with horrific scabs, scarring, and bruising on his shins" from mistakes in the pull. 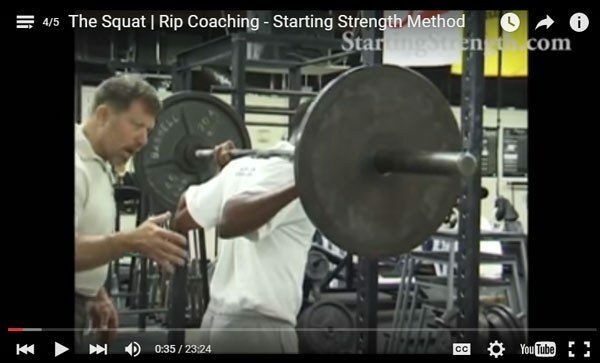 Strength Training for People My Age – Mark Rippetoe reads his article about strength training for those of us with a bit more life experience. My father is alive today. Thank you. My dad didn't drown today. I'm sure the story will end up funny with the application of enough time and alcohol. Through a series of decisions, which are questionable in hindsight, my dad ended up in the middle of a pond by himself wearing a pair of insulated coveralls holding a cordless drill. By the time he realized the boat was being blown away from him and he couldn't save the tool, the coveralls were soaked through and he couldn't keep his head above water. It took everything he had to get short breaths and keep moving toward the boat. Eventually he did, and made it to shore. My dad is 70 and very active. Not the compulsive exerciser kind of active but the always have to have a project or two going kind of active. He's in good shape for a guy his age, but I had noticed the last couple years that he had started to shrink an inch or two. A shoulder replacement last year certainly didn't help. I picked up a copy Starting Strength in the spring and was halfway through The Barbell Prescription when I saw him in July. He was excited about traveling to Africa with a friend of his who was going to shoot an elephant, but was a little daunted by the physical demands: hot weather, lots of walking and probably sprinting away from the quarry. He mentioned spending more time on his stair stepper. As a koolaid swilling novice two months into an linear progression I suggested an "alternative." He lives near North Platte NE. Too small for globo gyms, it does have a place that started life as a power lifting club. Three squat racks, two platforms and one of those wheeled sleds. Perfect. Had to use a safety squat bar and I couldn't figure out a way for him to press. Vertigo on the bench and shoulder mobility overhead, but I figured squats and deadlifts were better than nothing. Squat, DL, push the sled. Lather, rinse repeat. He'd send me a picture of the gym parking lot every three days or so. Weights climbed into the mid 100's before his surgeon heard what he was doing told him he shouldn't be lifting heavy weights. Went to Africa, shot a baboon and had a great time. Said he never really felt old and had no problem keeping up. Got back a week ago then had this incident. He said it took "everything" he had to make the boat. I have no doubt that "everything" in October is greater than "everything" in July. If I hadn't read your book I'd be planning a funeral this week instead of my parents visiting to watch their grandson play football. Thank you. Sounds like an interesting guy. I'm glad to hear he's still on this side of the dirt. 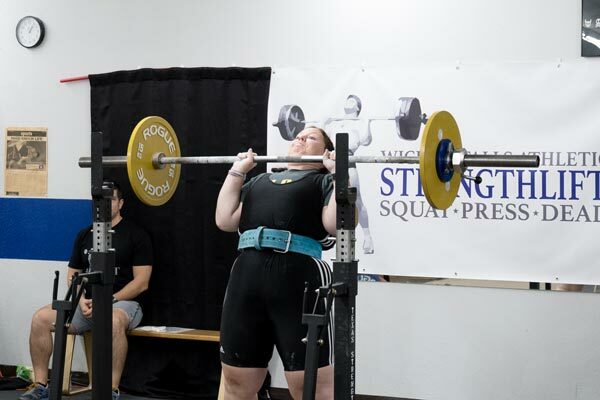 There have been quite a few threads on shoulder inflexibility issues while low bar squatting, and I have noticed that a solution commonly advised is to resort to the high bar squat instead. I have had a hell of a time assuming the well-advised straight wrists and thumb over the bar, even after experimenting with grip width. I have had three deep-tissue massages on my chest, shoulders, back and arms, and while this has increased my flexibility somewhat, I am still left with debilitating shoulder, biceps and forearm pain when trying to assume this perfectly normal-looking position. My own apparent solution, and the only thing keeping me from having this infuriating pain, has been to wrap the thumbs around the bar (precisely as advised not to do in the book), but making damn sure to keep my elbows up and thus avoid intercepting the load with my arms. 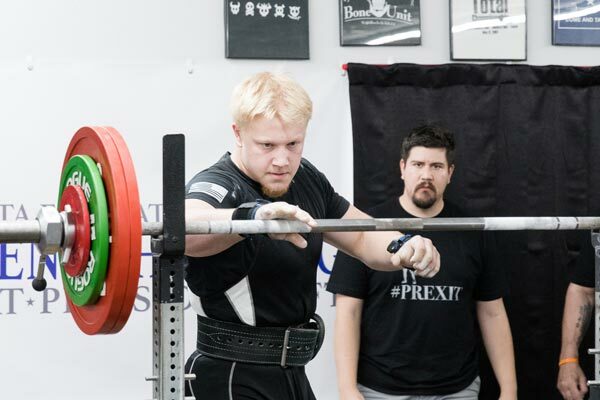 Have you ever had any trainees during seminars who have been simply unable to squat low bar with the advised wrist position but who, instead of resorting to high bar, have been able to solve the issue with a similarly unconventional grip? 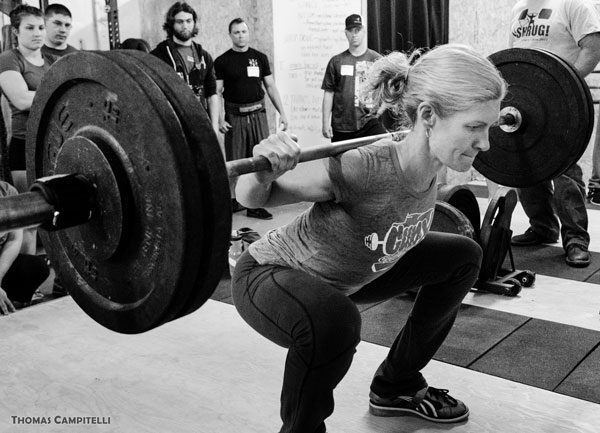 Would you ever allow such a thing while coaching someone on the squat? I'm aware the guys at Westside often use a thumbs-around grip, but I prefer the form taught in Starting Strength. 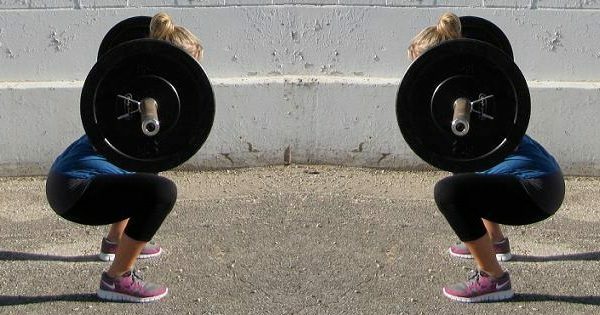 I ask mainly because if I ever manage to attend a seminar (I live in New Zealand) or post a video of my squat, I would prefer, as much as possible, to avoid coming across as another example of someone who Hasn't Read The Book. 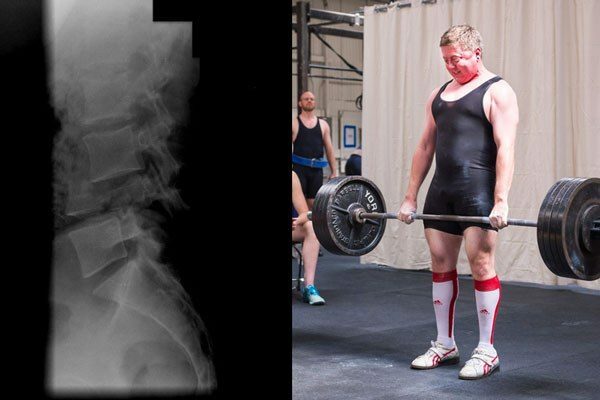 I'm just something of a physical idiot with a rather pronounced kyphosis and inflexible shoulders. Just started the program, squatting less than 225 lbs. If you can't assume the suggested grip, and many people can't for various reasons, use the best grip you can manage. The bar position is more critical than the grip position. But you have much bigger fish to fry, and they are best fried at an all-you-can-eat place. Thank you very much for confirming this, and I certainly agree that my weight is a much bigger priority. For what it's worth, my starting point, tragically, was officially 110 lbs after a doctor's visit some time ago. So progress is being made, I just happen to have started rather noticeably further down the ladder than most. I hear 5000 calories a day does spectacular things. You know, I must say, I am very seriously contemplating saving towards a trip to Texas to attend a seminar. Wouldn't that be something? That would be something, yessir.